There are currently 93,046 users on this website. 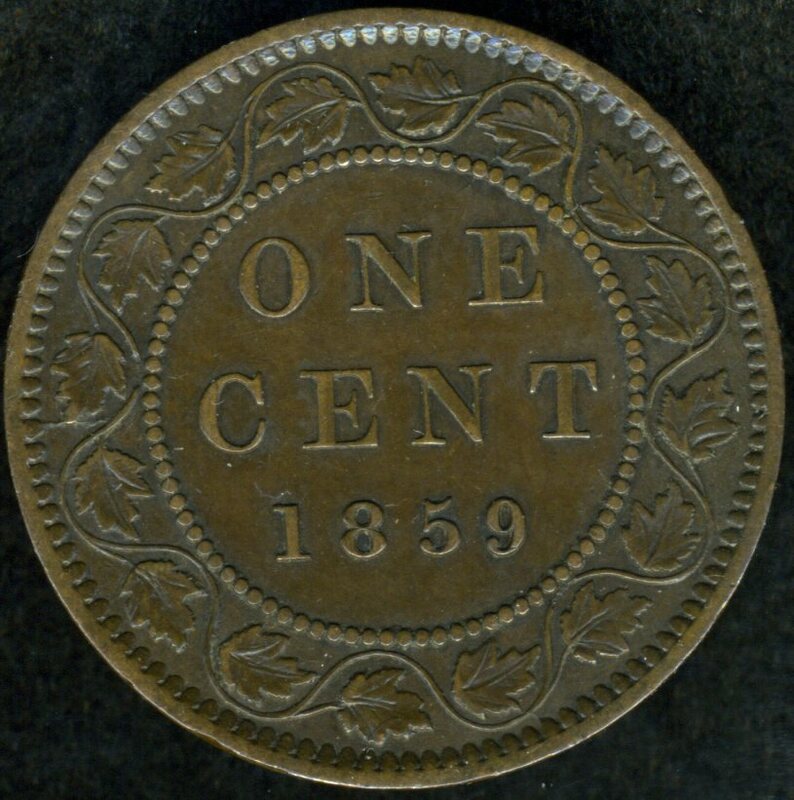 I purchased this one last week off ebay it was a poor picture but the description was correct about the die cracks on the obverse and that gave it some great possibilities as to a nice dp9 variety. The gung was pretty heavy around the 9 so it was hard to tell. I took a chance and bid and won it as it turns out it was not the dp9 but it was one I needed in the 65a die pairs the last one I needed to finish those Haxby die pairs, so it was a treasure in one way. That's a nice 65a5 papeldog! Congratulations on getting all of the 65a die pairs. All 5 of those die pairs have interesting features. 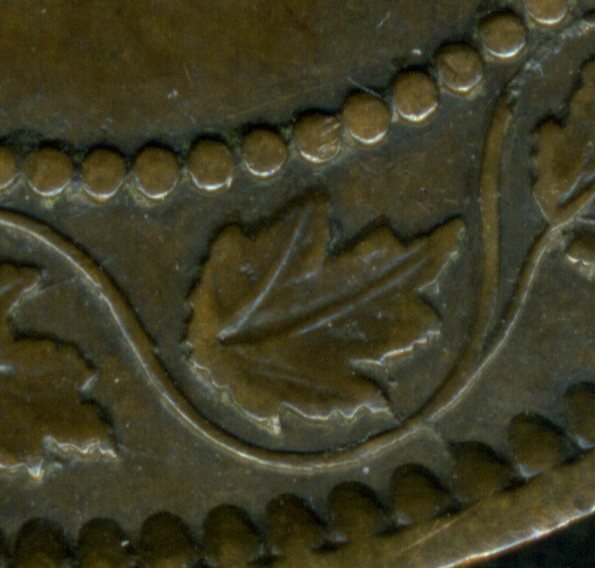 I think I see another reverse die crack at leaf 2. Are there any others? MG, do you have any 65a5's with additional die cracks? 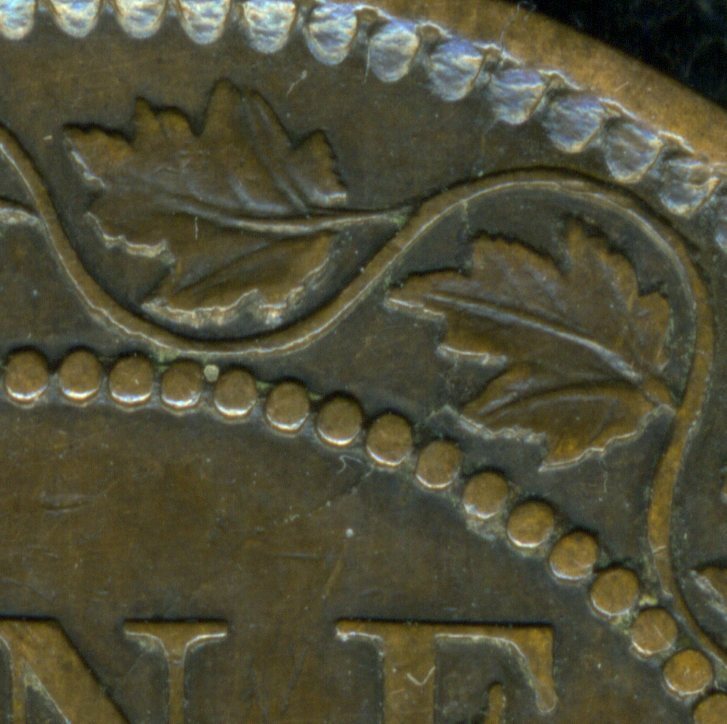 Thanks for the detail photos of the die cracks. That is a later die state which is not yet in the Haxby catalog. Nice find, and good eyes to catch those die cracks! 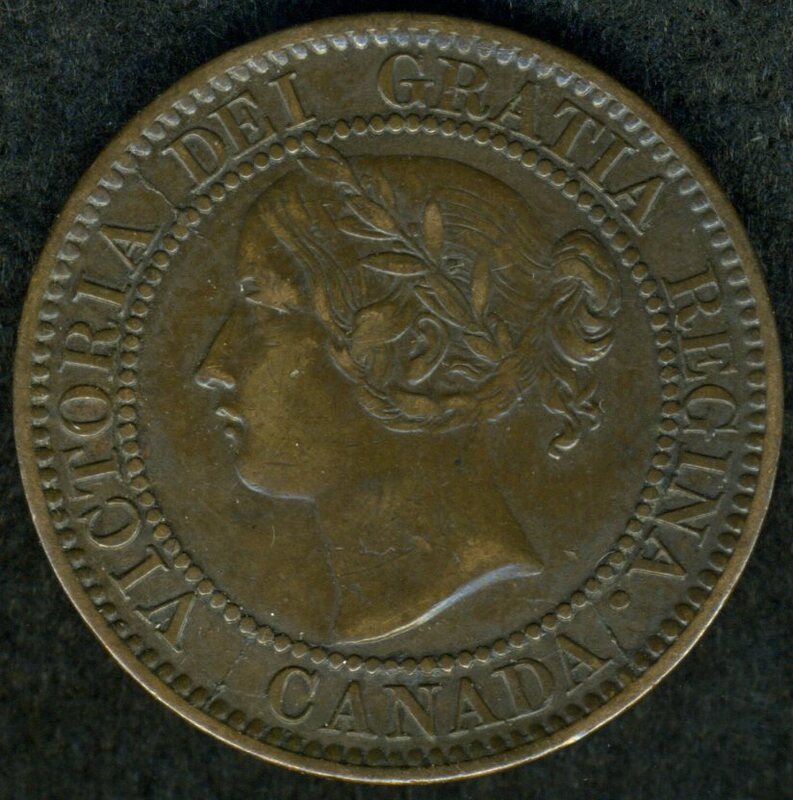 They probably would be hard to see on a lower grade coin.